On Friday Mr C and I went on a date night, something that we've not done in a long long time. 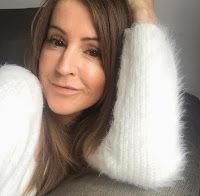 There are so many places to eat in our local town that we really should try but come the weekend we've either go something else on or are just so tired and can't be bothered to move from the sofa. 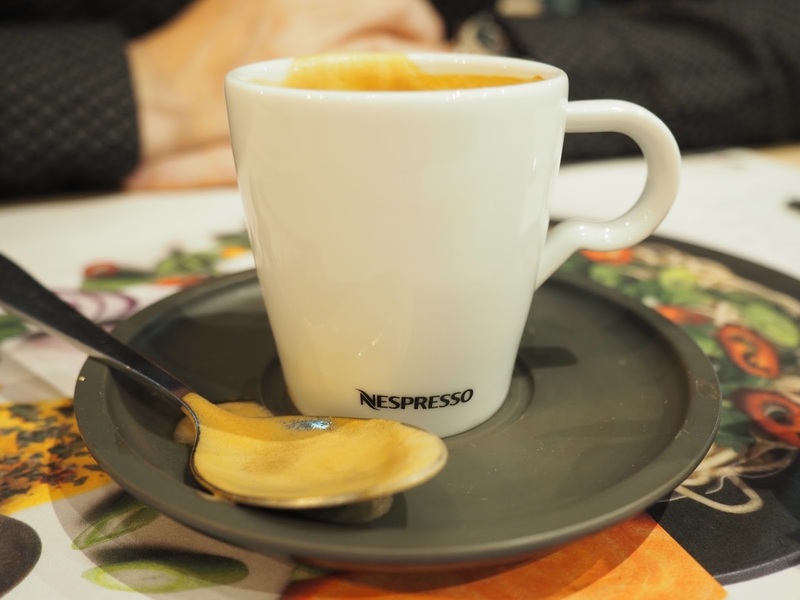 We had a table booked for 7.30pm at Wagamama in Highcross Leicester. I've wanted to go to Wagamama for so long and was really looking forward to finally getting to try the food. 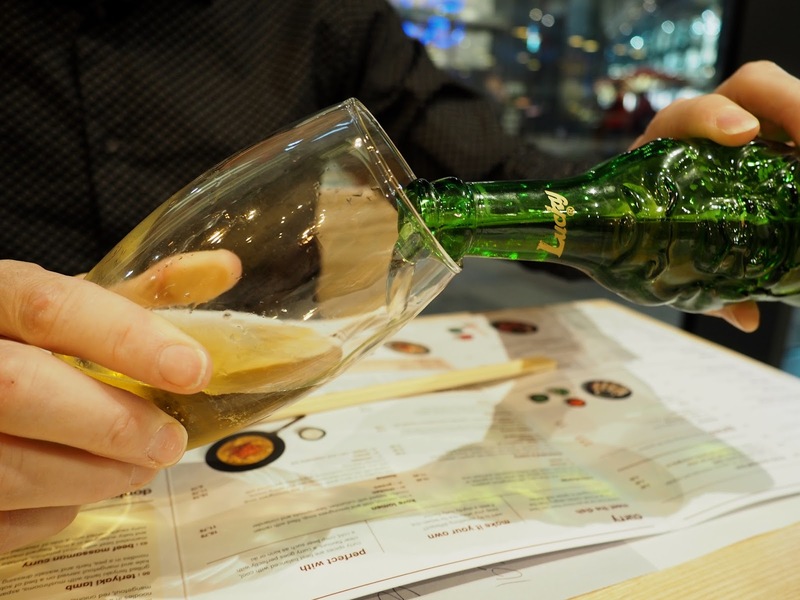 The restaurant was so busy but we were shown to our table straight away and settled down to study the menu with a beer for Mr C (Lucky Buddha) and a (large) glass of rosé for me. Now I went with a noodle dish in mind but after much deliberation I opted for the Surendra chicken curry, a rich, hot and spicy green curry with jalapeño peppers, onions and ginger. I told Alex, who was taking our order, and helping us decide, that I like quite spicy food but not eye-wateringly over the top hot. He said the Surendra would be a good choice. Mr C went for the firecracker prawns despite Emily saying she had it the last time she went and she couldn't eat it all as it was way too hot. Both Emily and Mr C love hot, spicy food, in fact as a family we all do, so for Emily to say it was too hot it must of had some fire in its belly! I watched eagerly, waiting for steam to start coming out of Mr C's ears, nope, nothing. I tried a tiny bit, my word it was delicious but not mind blowingly hot. Don't get me wrong it was fiery for sure but we felt the balance was perfectly right between flavour and spice, the vegetables were crisp and rice as fluffy as you like. Mine was also delicious, quite fragrant and hot. To accompany our dishes we had sides of mushroom onigiri with a chilli dip ( now this dip was bloomin hot!) and prawn gyoza. The only criticism I have, and it is only slight, is that the food could have been hotter in temperature for me, I like mine piping hot but this was warm. Alex, our waiter was so knowledgable, helping guide us through the menu and attentive all the way along, popping over to check everything was ok and to see if we needed anything. It's funny I didn't feel too full after my main so when Alex asked if we wanted to see the dessert menu it was a resounding 'Yes'. 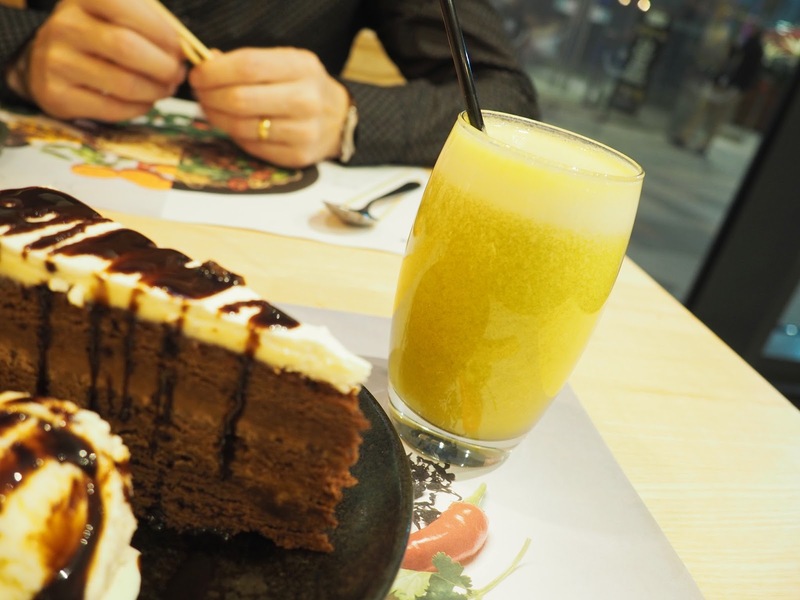 Banana katsu and an espresso for Mr C and chocolate fudge cake and a clean green fresh juice. There was a big light hung above the table, great for seeing your food but not great for photos! The restaurant has had a bit of refurb recently with the seating area now flowing a little bit better and some cosy booths have been installed. There was a great vibe about the place, with couples, groups of friends on the long benches, chattering away over steaming bowls of food, just how I imagine a Japanese restaurant to be. 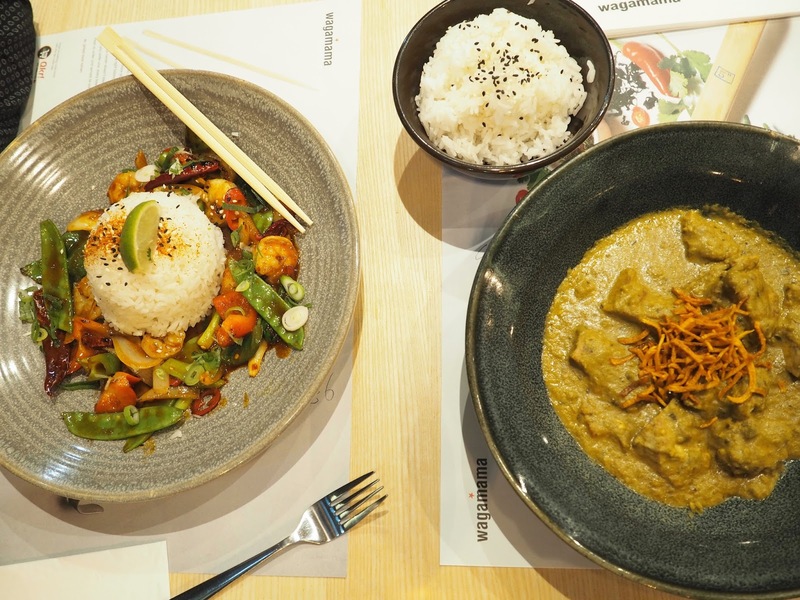 The staff are all super friendly and helpful so if you are in the mood for some Japenese inspired food then you need to head to Wagamama in the Highcross. 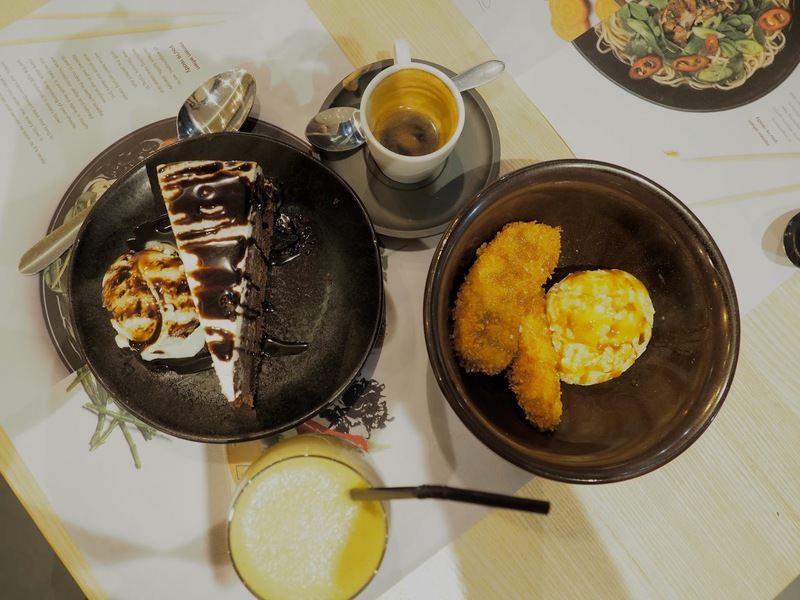 Even if you're not local to Leicester they have restaurants all over the country so I'm sure you'll find one near you, head to their website and pop in your postcode! 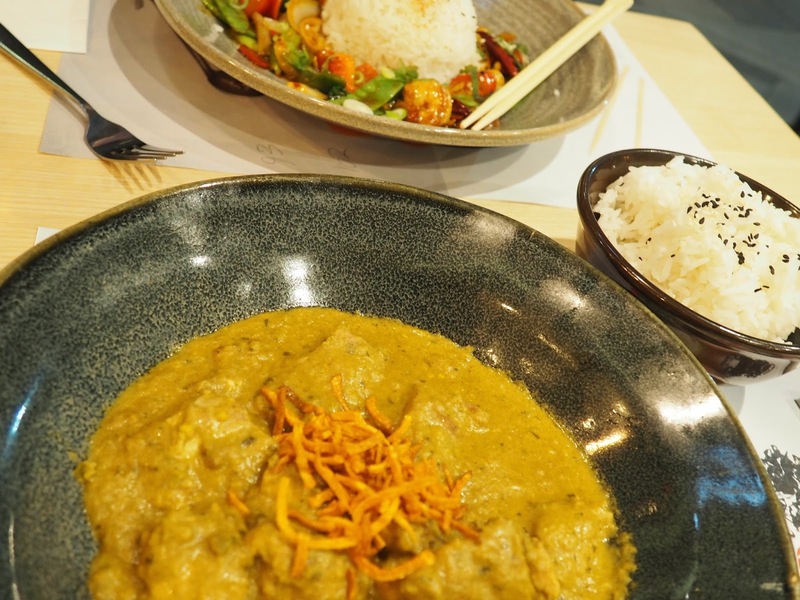 *I was kindly invited along to the newly refurbished Wagamama for food and drinks for a review post. Sounds lovely! I've never been to Wagamama, but i think I'll try one now! Lucky you as well being asked along for food and drinks! !